You drive a gas-guzzling vehicle, burn fossil fuels at home, and contribute thousands of pounds of waste to the local landfill each year. Yet you expect your employees and vendors to adhere to a green lifestyle? As a leader who espouses environmental stewardship, you must walk the talk. It’s not enough to set forth sustainability expectations for others. Those same principles (on everything from waste reduction to carbon neutrality) should guide your actions, day in and day out — professionally and personally. The success of any organization begins in the C-suite. For instance, I don’t simply give lip service to sustainability. As my company’s head brand ambassador, I help our team meet the stringent requirements to achieve what we call the "trifecta" of sustainable manufacturing: carbon neutrality, water neutrality, and platinum-level Zero Waste certification at all our facilities. However, I haven’t left it on a shelf; I encourage everyone to seek smarter ways to reduce, reuse, and recycle — and beyond that, to rethink. And I’ve adopted it for myself from living in an eco-friendly home to helping employees go green by offering financial incentives. But I'm certainly not the only one. Google, for example, is the poster child for green authenticity. The company is now powered 100 percent by renewable energy. But that's not the only eco-friendly move in Google's history. Eight years ago, the company began purchasing renewable energy at scale and is now the biggest corporate nonutility buyer of it. Additionally, Google saves millions of dollars managing its servers by regularly maintaining and using them as long as it can. Google offices also boast solar panels on their roofs and promote sustainable initiatives with employees. Activewear company Patagonia is in the same eco-friendly arena: In 2016, it donated more than $70 million to earth-friendly and sustainable initiatives as well as made its facilities more eco-friendly through LEED certification and the use of renewable materials. Patagonia also urged its employees to join its Employee Drive Less Program, which, like our company's program, provides incentives to employees who choose to carpool, take public transportation, or bike to work. But all this good doesn’t come just from words — it comes from committing, experimenting, and innovating. Rising to and Beyond an Eco-Challenge At this point, we’ve achieved platinum-level zero waste certification at all our facilities. However, that accolade wasn’t something we bought; it required total buy-in and daily effort from our entire team — starting with me. I took great care to follow the steps I wished to see in others: I drive a low-emissions car to work every day, and at home, we separate our recyclables and try to avoid the extra "stuff" that families tend to accumulate. We've even installed solar panels on our roof. To help my team achieve similar goals, I've implemented a financial incentive program to subsidize employees’ investments in buying greener cars or adding solar panels to their homes. At work, the leadership team and I encourage employee participation by creating a recycling-friendly environment. By making bins easy to find, we took away any pain points that might get in the way of diverting waste for recycling or reusing. Although it took time for everyone to catch the green “bug,” employees began to see how thoughtful, eco-friendly steps could improve their working atmosphere. Some workers became so accustomed to living greener lives that they took their newfound sustainability experiences home. 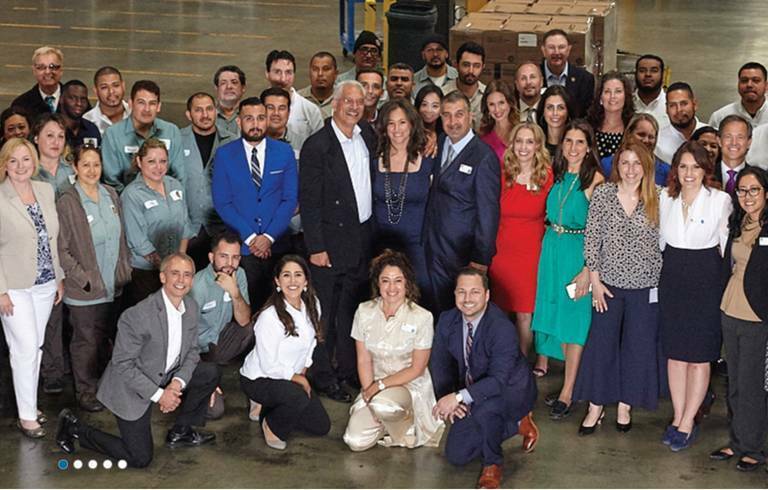 Thus, the progress our company made not only boosted workplace engagement, but it also began positively affecting the staff’s communities and neighborhoods. If that’s not enough to excite any CEO to take up the green torch, perhaps the way consumers feel about the brands they choose will be. According to a study by Mintel, a third of consumers take environmental friendliness into account when preparing to make a purchase. Show the public your commitment to greenness, and you could tap into a $1.2 trillion marketplace. Of course, every new venture starts with a few first steps: 1. Vet your supply chain for sustainable practices. Working with like-minded vendors is imperative here. They reduce the waste that arrives at our facility; this factors into our Zero Waste certification and carbon neutrality calculations. Make a list of your current suppliers: How many are philosophically driven toward environmental stewardship? For those that aren’t, suggest tangible steps they can take to help meet sustainability goals if they want to keep your business. Don’t assume you’ll have to pay extra for a socially responsible vendor. Plenty of suppliers with thriving sustainability plans cost less than their wasteful competitors. 2. Adhere to sustainable processes across the board. Whether you’re looking at manufacturing practices or customer service, examine every step in the production or action chain. As you audit your processes, you’ll see places to reduce energy and water use, streamline more efficient workflows, or even cut significant costs like waste management. The U.S. Energy Information Administration notes that of all the national energy consumption, manufacturing takes up around 20 percent. If you’re in the manufacturing sector, look for ways to limit your energy uses to drive down negative effects on the environment (like carbon emissions that affect climate change or fossil fuel dependence). At ECOS, we use 100 percent renewable energy — not unlike Google — and much of that comes from our own solar panels. 3. Reward employees to build momentum. Your workers may not understand how important sustainability is to your company. Help them see the benefits by providing incentives for implementing sustainable practices at work and at home. For example, our “Sustainability Passport” allows employees to earn redeemable points for activities, perks, etc. What constitutes something that could boost a team member’s “Passport” points? Moving within 10 miles of the office, carpooling to lower gas emissions, bringing a zero-waste lunch to work, installing solar panels, and more. Use your best judgment to drive awareness and excitement among your people. At the same time, articulate your goals as well as how you’ll measure success to help employees understand how far-reaching their choices are. Take the lead today, and you’ll enjoy all the benefits of holistic sustainability for your company — and your personal journey. Kelly Vlahakis-Hanks is the president and CEO of Earth Friendly Products, maker of ECOS products, including its well-known laundry detergent, as well as more than 200 other plant-based cleaners.